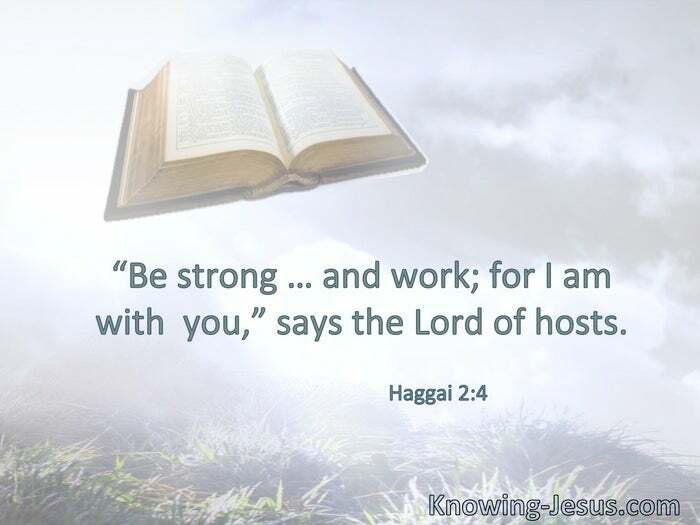 “Be strong … and work; for I am with you,” says the Lord of hosts. I am the vine, you are the branches. He who abides in Me, and I in him, bears much fruit; for without Me you can do nothing. § I can do all things through Christ who strengthens me. § [Be] strong in the Lord and in the power of His might. § The joy of the Lord is your strength. If God is for us, who can be against us? 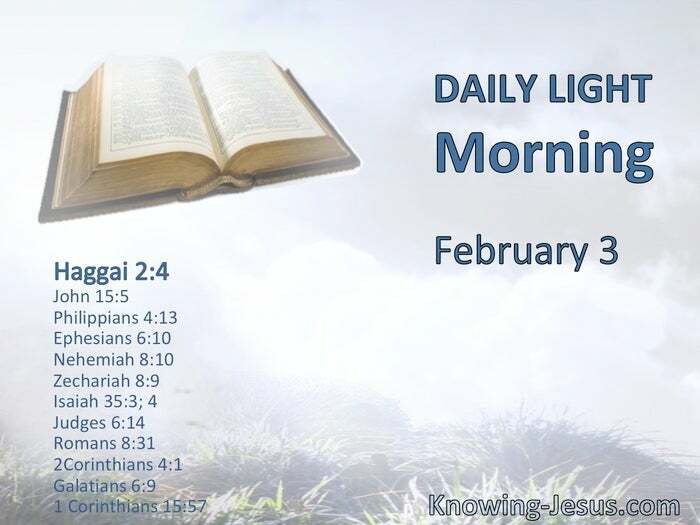 § Therefore, since we have this ministry, as we have received mercy, we do not lose heart. Let us not grow weary while doing good, for in due season we shall reap if we do not lose heart. § Thanks be to God, who gives us the victory through our Lord Jesus Christ.